The competition was well supported and it was very pleasing to see some of our “newer” bowlers being brave enough to enter. It is often the case that bowling with or against some of the more experienced bowlers is the best way to gain improvements in your own performance. 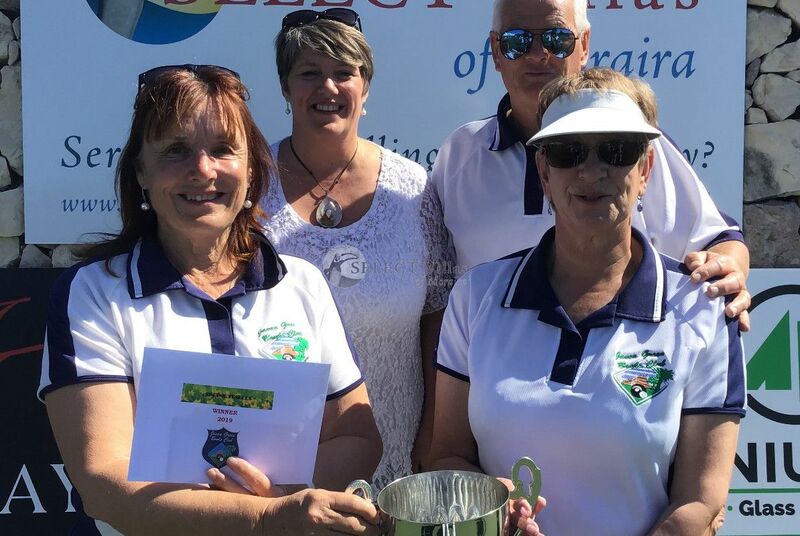 The Trophy was keenly contested over two almost perfect days of sunshine and provided its’ fair share of good play and surprise results that kept the crowd interested. Following the “round robin” stages the bottom two teams in each group are split into the Plate competition and the top two teams go into the Main Trophy competition. The Plate final saw Biscuit Bells, June Herrera, Peter Nesbit-Bell and Jill Nobbs take the title from Carcoats, Yvonne and Dave Carvath and John Coates on the final end. The Spring Triples Trophy went to the pre-competition favourites Whatever, Lynne Eldon, Brenda Burgess and Derek Eldon who produced some excellent bowling to defeat the Phantom Flyers, Peter Carrigan, Jan Phillips and Nigel Thomas. The Competition was sponsored by Sun Lawyers, Movers International, SR Print, Glowarm, Prosat Spain, Church Kitchens and Select Villas. We were pleased that Dawn Williamson of Select Villas was present to give out the prizes and the Trophy. Captain Jenny Rich thanked Brenda Burgess for her splendid work in attracting and then looking after our Sponsors, and our Match Secretary Alan Phillips for putting on a well organised and enjoyable event. Photo shows Dawn Williamson with our Winners.